Come take a look at this beautiful GOLF FRONT home located in Beacon Ridge at Legends. 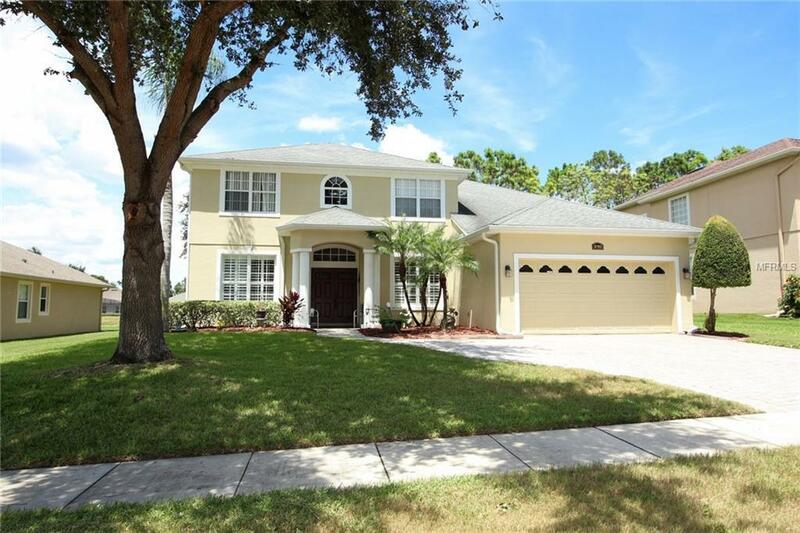 This home features 5 large bedrooms and 3 full baths. The front foyer welcomes you with a large formal dining room to the right and the formal living room to the left. The great room offers volume ceilings and opens to the kitchen and breakfast nook. Perfect for entertaining family and friends! BRAND NEW Vinyl flooring and crown molding throughout. The kitchen features sleek STAINLESS STEEL appliances, GRANITE counter tops with double sink, designer back splash and plenty of cabinet space. A convenient guest bedroom and full bathroom are located downstairs. The 4 remaining bedrooms are located on the second floor. Large master bedroom and master bath with dual vanities, large garden tub, separate shower and water closet. Relax on your fully screened-in Lanai overlooking the 12th Fairway of the Legends Golf Course. Additional features of this home include windows and plantation shutters, BRAND NEW A/C unit on the second floor. Legends Golf and Country Club is a guard-gated community that offers many different amenities, including Tennis courts, Basketball courts, a community pool, Gym, Park, clubhouse, Home Internet Service, Home Phone and Cable included. On site restaurant and one of Floridas finest golf courses. Come and see what this lovely home has to offer! Additional Lease Restrictions Refer To Deed Restrictions Or Contact Hoa Management For Additional information. Pet Restrictions Refer To Deed Restrictions Or Contact Hoa Management For Additional information.